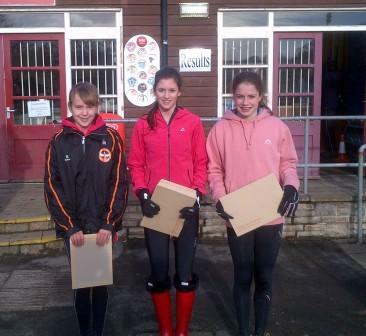 On Saturday 1st February, students from Westholme were selected to represent Blackburn with Darwen in the Lancashire schools cross country championships at Witton Park. The course was muddy and the weather cold and damp! Well done to Lucy Fielden who finished in 12th place, and Claudia Reyner who ran in the intermediate girl’s race and finished without a shoe after losing it in the mud! Well done to Dominic Naylor who ran in the junior boy’s race and finished in an excellent position for Blackburn with Darwen. Finally, huge congratulations should go to Katie Buckley who finished in a fantastic first place in the senior girls race, winning by an amazing 28 seconds. Well done to all the students who competed. Another special mention should go to Katie Buckley who ran for the North of England Cross Country team at Cardiff in the Cross Challenge on 19th January. She was part of a team of 4 girls selected from the North of England. On Saturday 25th January Katie also ran for Bury Athletic Club in the Northern Cross Country Championships Junior women (under 20) race and came 8th. Well done Katie!